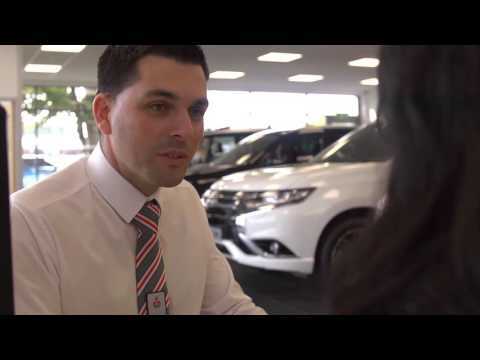 Birchwood Mitsubishi is proud to be a Motability specialist based in Eastbourne, Sussex. Our range of Mitsubishi cars are ideal for Motability customers due to their accesibility and practicality whilst also being stylish and fun to drive. Popular models like the Mitsubishi ASX and Mitsubishi Mirage offer plenty of fantastic technology and features but with the added flexibility of Motability adaptations and conversions also being available to ensure your next car meets your specific needs. Our experienced Motability team will be on hand to answer any questions you may have, particularly around eligibility and what's included, so to find out more contact us today or visit our showroom in Eastbourne and meet our team. We're pleased to announce that April is our dedicated Motability month. This is an opportune time to discover the benefits of Motability through the Birchwood Mitsubishi, offering a large range of cars to choose from. There are a variety of different criteria which need to be met in order to be eligible for the Motability Scheme. These primarily revolve around certain disability allowance payments being made to you but our helpful Motability specialists will be on hand to answer any questions you may have, including any eligibility questions. Throughout the process, our team can guide you through the application and take care of any issues, including any adaptatations or conversions you need to support your specific circumstances. Keeping you mobile is the main goal of the Motability Scheme, with another key benefit being simplicity as the bulk of associated running costs are included in a single payment. This includes servicing, MOT, road tax and certain wear and tear items like tyres. Our Motability specialists will be availble to you in case there are any queries or concerns particularly through the application process. Overall we want to ensure a smooth and pleasant ownership experience for you. Mitsubishi has a wide range of fantastic vehicles available on the Motability Scheme. The Mitsubishi Motability range has a variety of different types of vehicles, ranging from smaller more stylish cars such as the Mitsubishi Mirage, to larger cross over vehicles like the very popular Mitsubishi ASX. Adaptations and conversions are available so if this is something that will help you please speak with a member of our Motability team for more information.